I have seen many manufacturers opt for solutions that consolidate the most important aspects such as work orders, sales orders, purchase orders, inventory (consisting of raw materials, finished goods, and spare parts) when it comes to a project-based setup. This enables them to compete and stay ahead of the curve in the highly competitive market. So, if you are a manufacturing business, you already know how crucial inventory management is, for a healthy bottom-line. Effective warehouse management helps you keep track of all the goods and items that your business has, efficiently and timely. However, it is easier said than done. 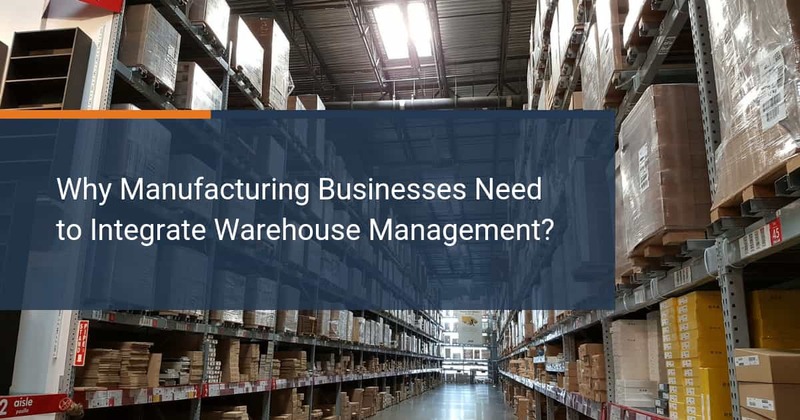 For manufacturing businesses, it is very important to manage warehouse operations and integrate the supply chain with that warehouse and related processes. In this blog, we will talk about 4 reasons why it is necessary for you to integrate your warehouse management. 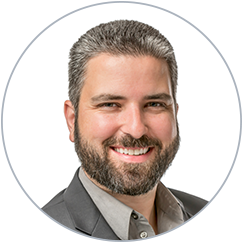 Optimizing inventory – For a project-based manufacturing business like yours, it is essential to remove the imbalance between demand and supply of inventory. Integrated warehouse management enables you to set inventory targets, based on the demand and supply variability. An accurate inventory mix can satisfy immediate customer demand while avoiding any overstock or understock situations. An integrated system can extend employees a true and comprehensive picture with up-to-date information that is required to operate a warehouse, stock, and tally inventory to fulfill customer orders. Minimizing Costs – Cutting down on operation costs is the primary objective in any project-based unit. In that context, warehouse operations can prove to be a very expensive affair. Managed right, it can also prove to be the source of income for your business. By integrating warehouse management with the right technology and processes in place, you can exploit operations to its maximum potential. Integrated systems ensure that warehouse operations are streamlined and automated, minimizing the risk of human errors and damaged or outdated inventory. Automation not only minimizes labor costs but also reduces system errors. Ensuring visibility – Project-based manufacturing companies have to take into consideration a number of things – from detailed tracking of project costs and tasks to ROI (Return on Investments). Therefore, visibility in such a complex environment plays a very critical role. In that regard, one of the key things is supply chain visibility. I can bet on the fact that however manufacturing a business you are, you have to focus on your supply chain performance. An integrated warehouse management system guarantees more visibility to you, your partners, and your vendors into your inbound planning as well as your shipping and distribution methods. Needless to say, the more visibility, more likely that you will have your operations smoothly. Future-proofing – It is obvious that if you are a manufacturing business, you will look to continuously improve processes and optimize efficiency. Your warehouse management system integration will be a very vital step towards making your business future proof. You will have to stay ahead of the trends and technologies that are the future of small business if you want to grow, expand, and/or just add new functionalities to your current system. Whether you want to enhance the Warehouse Management System (WMS) on your Microsoft Dynamics NAV or Microsoft Dynamics Business Central On-Premises (available on and from January 1st), or just want to start your journey of integrating your Warehouse Management, we can help you! Find out how.